cncKad is simple to learn and more easy to use … In cncKad everything is done in one module, thus it is possible to stretch a part together with its processing. 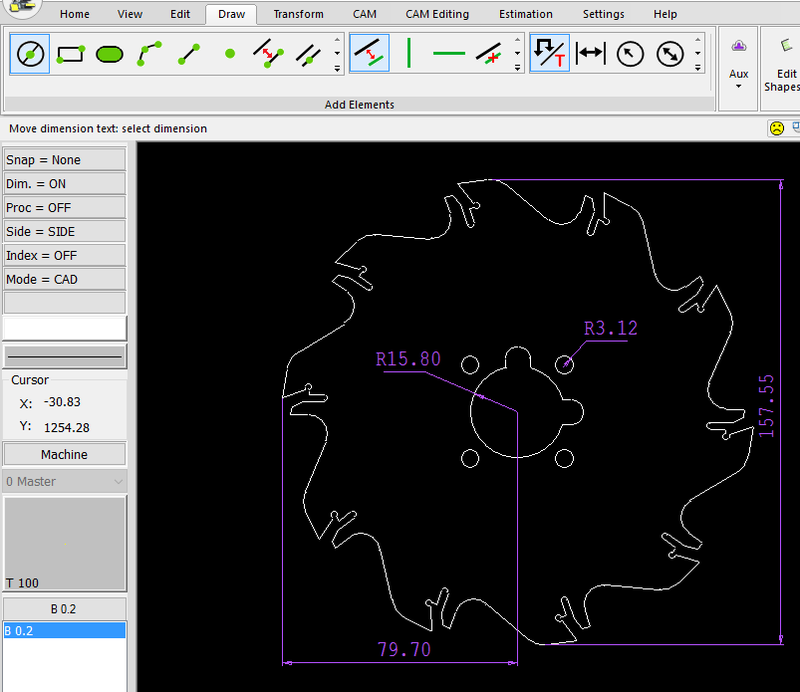 cncKad has a powerful, easy to use, 2D drafting module, which provides tools for quickly drawing complex sheet metal parts. Modifications are quick and easy with functions such as stretching, rotation, copy, and many more. Create new parts or edit imported projects from customer systems using standard exchange files such as DXF, DWG, and IGES. During import, cncKad recognizes layer structures for rapid isolation of the relevant geometry. A checking function cleans up the imported geometry and validates it, automatically correcting contours and readying it for processing.